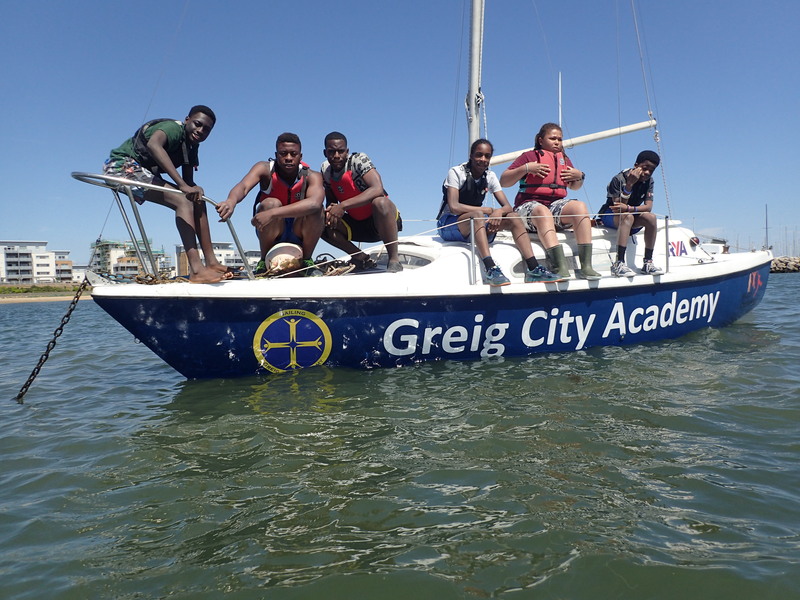 After a 3 year journey our students from Greig City Academy will set off for the startline of the Fastnet Race on Sunday. There have been massive highs and lows but now the excitement is building. Scaramouche is having final work undertaken to make sure she is 100% ready while the crew make their way… Read More The Fastnet Is Next! Cowes Week has just finished for our project and was brilliant. Our main helmsman and Captain Montel was invited to Helm Pioneer Underw riters X55 Lutine! After getting the feel of the yacht they went onto take line honours in 4 races and win one outright, on handicap and taking the canon at the squadron!… Read More Cowes Week A Resounding Success! A Busy Few Days of Sailing! After one day’s rest our sailing project will return to Cowes Week tomorrow. Our reserve crew will take over in Scaramouche while the Fastnet Crew rest. Our main helmsman and team captain Montel will be joining Pioneer Underwriters onboard their yacht, Lutine. A great opportunity for him! On Monday our senior girls team will come… Read More A Busy Few Days of Sailing! A Great Second Day of the Gertrude Cup! Today saw 3 races of the Etchells Gertrude Cup. The Greig City Academy boys started well- winning the first race by a considerable margin. The second race saw much stronger winds- lots of rolling down wind but they held it together mid fleet. The last race saw a great battle at the front from which… Read More A Great Second Day of the Gertrude Cup!